What exactly is “eating clean?” I’ve been posting about eating clean on Facebook for a few weeks when I came to the realization that not everyone may know what it means. In trying to come up with a quick definition, I did what everyone else does – asked Google. 4,340,000 results returned. 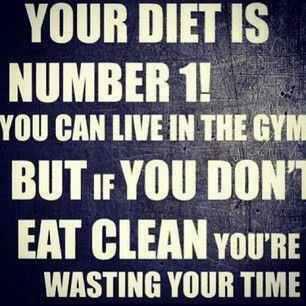 I’m starting to think there are a lot of views about what eating clean means or that no one really knows what it means! So here’s my list of what eating clean means to me. Counting calories. not all calories are created equal. The calories in McDonald’s french fries are not equivalent to the calories in an apple. When looking at calories, our thought should be quality vs. quantity. For instance, ask yourself – how is this going to refuel me? Point Conversions: Who has time to decide what they’re cooking, check the fat content, convert the fat to a point, write down all the points, then calculate all the points at the end of the day, oh, and don’t forget, if you blow you’re points by 3:00 p.m. – you’re screwed! 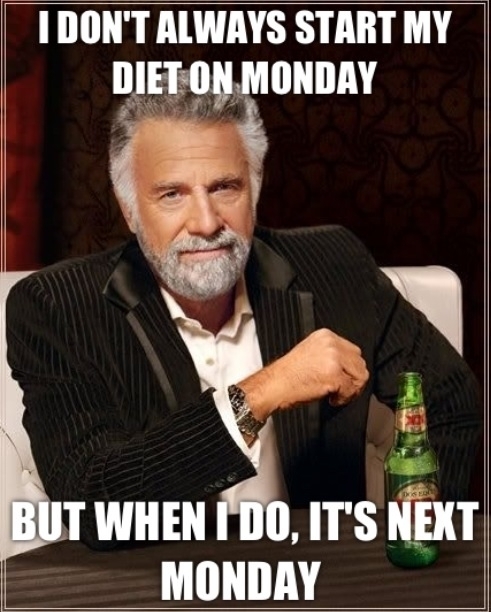 A diet: Atkins, Sugar Busters, Hunter/Gatherer, Raw Food, Vegan, The Cookie Diet, the whole food diet, DASH, the list could go on into eternity. A starvation diet: You actually get to eat. 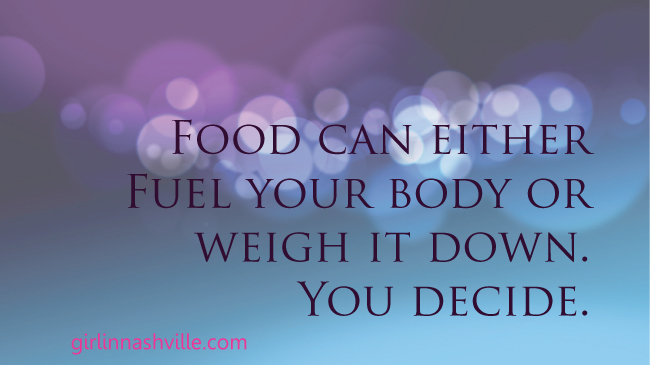 Actually, even better, when you eat clean, you eat until you’re full, and you eat when you’re hungry – how fun! A guilt fest: When you eat the foods God intended our bodies to digest, there’s no guilt in the amount, time or quantity you eat. According to WebMD, CNN, Prevention and Eating Well (I had to consult several sources to come up with a concise definition) – it means eating whole, fresh, as close to nature food as possible. Pretty simple, right? If you go to the grocery store, put something in your cart, look at the ingredients, and can’t determine where each ingredient came from, it’s not clean. In fact, the fewer ingredients, the better. For instance, instead of eating a banana nut muffin, eat a banana and some nuts. 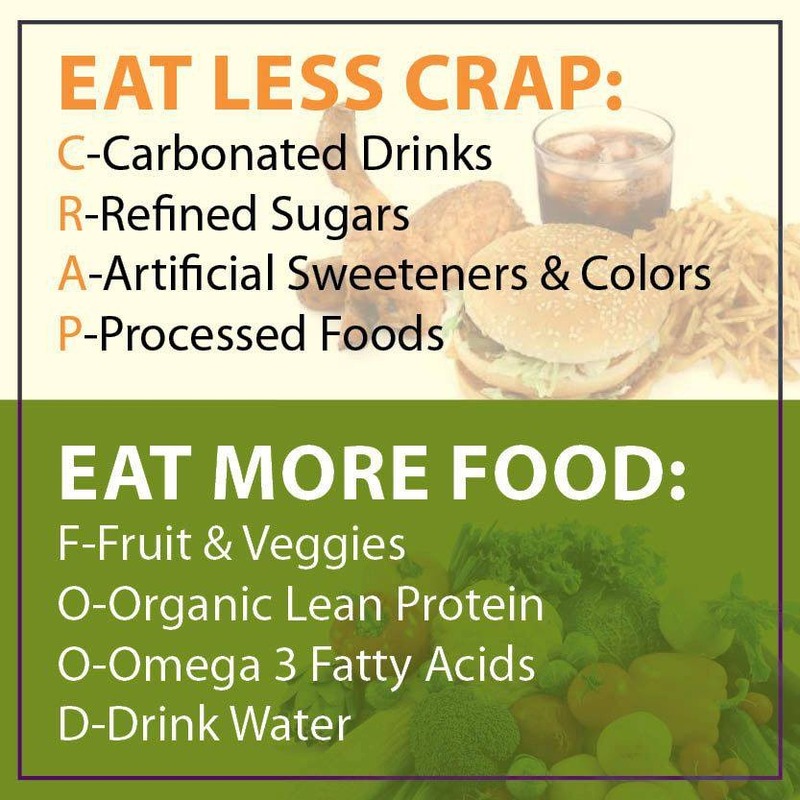 – limit sugar, refined sugar, added sweeteners and high fructose corn syrup. If I’m going to eat sugar, it better be the best darn sweet treat I can get my hands on! And most importantly, don’t stress about it and allow yourself to cheat on occasion. We’re human!